Tomorrow is Valentine’s Day! Can you feel the love in the air? Being a client-based company, we have the pleasure of working with some amazing people. We are honored and blessed to be apart of the lives of so many who are building their communities with love on a daily basis. They are all entrepreneurs. It is such a wonderful thing to work with individuals who have taken the leap of faith and stepped out of their comfort zone into the business world. Whether it was last year or 10 years ago, they made a choice, and haven’t looked back. They are all focused. Each of our clients are in a different line of work, but they are all so focused on their business and what it is that they need to do in order to accomplish their business goals. They have created their own lifestyle. It’s one thing to be self-employed and work yourself into the ground, but our clients have stopped working for others, and have created the life that they truly desire for themselves. Whether they wanted to travel more, spend more time with their families, or just be independent, they made it happen. 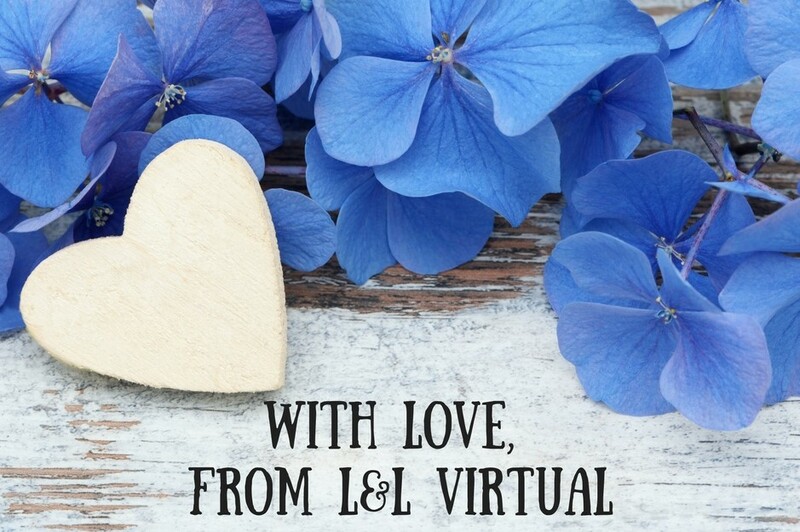 They chose L&L Virtual. Like I said, we are a client-based business, so without our clients, we don’t have a business. We truly appreciate all of our clients, past present, and future, for choosing us to help facilitate your business needs. It means a lot that you trust us with your business. It fills our hearts to serve you. Happy Valentine’s Day to all of our clients, and to all of you!